Slipcovered Sofas: Are They Worth It? 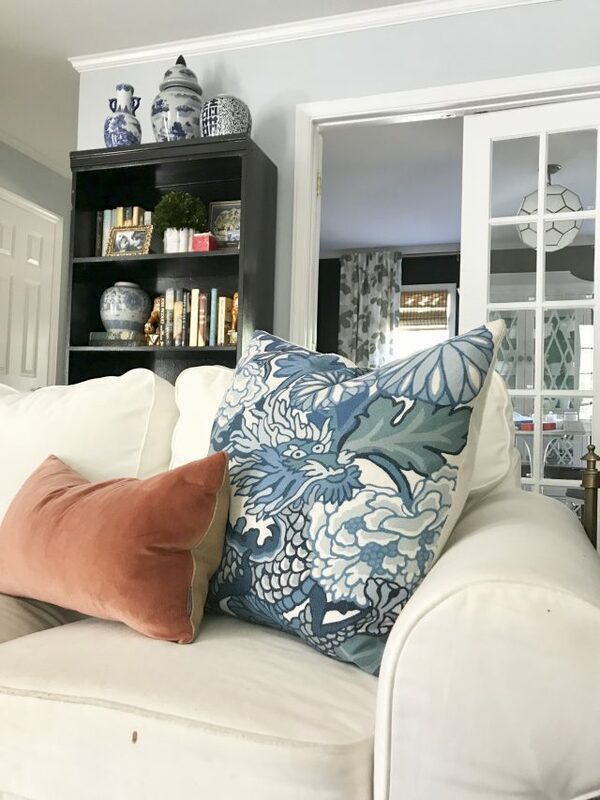 After owning (white) slipcovered sofas for a couple of years now, it seems like a good time to give an update on how they’re working for our family and if the “ease” of washable covers is really worth it. We have a pair of the IKEA Ektorp sofas in our living room, and I’ll stand by my opinion that for the price and the comfort, they’re a great fit for our not-so-gentle family of seven. But the washable slipcovers? Not so washable, after all. I started out like every other slipcover owner in America who said “I’ll just throw them in the washer.” Truth be told, there’s no such thing as “just throwing them” anywhere. In a perfect world, I guess you would take them off every month or so. My average, I’m ashamed to admit, is more like once a year. We’re not suppose to, but “we” eat snacks (and ice cream and popcorn and salsa) in front of the TV and I just got tired of worrying about it, which leaves us with less then crisp white couches. Look closely. Someone–who shall remain nameless–decided to eat chocolate ice cream while paying more attention to a ballgame. . . While I can take the covers off by myself, the pain of getting them back on the frame is more of a two-man job. They say not to bleach them, but I’ve tried it–along with OxiClean and stain sprays and everything else I’ve read online that’s been recommended. The verdict? The white doesn’t come out white. (This could be due to my once-a-year-washing schedule.) And it’s a lot of trouble, I tell you, to go through the process of washing them and get a dingy result. So, the alternative is to buy new slipcovers–or a new sofa. . . For our IKEA Ektorp, a new cover is $250. I’m sure it varies but a quick Google search says the average cost to have a sofa cleaned is between $100-$150. Although the “new” doesn’t last extremely long around here (for anything), I still feel like new slipcovers are a good investment for a few years, at least. While I’m speaking from the experience of having white sofas, I think you could get away with keeping the covers even longer if it were a darker color. . .
What’s been your experience with slipcovered furniture? I have the same sofa, a chair and a couple of ottomans in my living room. I quit the white slipcovers a couple of years ago. I have the beige covers. ($49 for the sofa) They are much more forgiving and reasonable to replace if needed. My strategy for laundry is only drying my slips about 10 minutes on delicate. Putting them on damp and allowing them to air dry. Hope this helps. This is exactly what I do also. I have 3 ektorps. 1 x 2-seater with chaise that I bought and used with a white slipcover for a year, but recently changed to a charcoal cover and moved it to the playroom. I acquired 2 full size Ektorp with oatmeal covers on that I got used and the covers were pretty stained and dirty. I spent a couple hours pre-treating the stains and then washing and all but one stain came right out!! They look brand new. I usually dry the seat covers for 20 minutes so they are just a touch damp and put them right on. I dry the frame cover for 10 minutes so it has started to dry but it still mildly damp and it slides right on the frame. I let it dry overnight and it looks crisp and no wrinkles! I love it! I have the same exact sofa and white covers and I DO bleach mine! I wash the covers on HOT with bleach and works like a charm for our house with a mess and yellow lab. BUT the overall cover is a major pain and DO NOT wash that on hot. I shrank mine and it is the Bain of my existence trying to put it back on even partly because of that. So I just bought a new one and oh how gorgeously crisp it is! I tossed the underneath piece and kept the cushion covers to have “just in case” and will try to be more diligent in the washing this time. Like 2x a year lol! I had 2 slipcovered armchairs and ottomans for years, covered in a denim fabric. They weren’t the easiest to change, but the denim had some give and the cushions were down so that made it a bit easier. I washed them once every couple months (dogs + kids) until they were literally in shreds. I felt my experience was so positive I bought a tailored, slipcovered sofa and chair. I washed the slipcovers once. I had to lie down for the afternoon after putting the covers back on. The back on the sofa never fastened properly after I washed it. Since I NEVER washed it again, my new furniture is upholstered. I have two white slip covered sofas. What I use is a product called White Wizard. You can buy it on Amazon. Anyway, I spot clean with this stuff and find it gets anything out. Sometimes you do have to apply several times on say a wine stain. But it beats removing those beasts and putting them back on. I found two White Wizard products on Amazon. Is what you use in a green or white tub? Thanks! We have always had white slipcovered sofas in the den – first from PB and now MGBW – and I have learned that you just have to stay on top of the cleaning and spot treating. Like more than once a year (sorry, Emily!). Don’t fully dry them before putting them back on. Yes! We too bought the white IKEA couch, and ended up trading in for a tan slip cover once our family grew to 4 small kids. It’s not exactly what I want, but it saves my sanity! I have the rest of my life to have upholstered beautiful furniture…right? I just ordered the white bc the beige does not come clean whatsoever. Stains do not come out and even stain spray stained the beige. I was hoping the white would wash better? I totally agree, Emily! We have a pair of IKEA slipcovered chairs that I don’t feel like I can never get white enough from washing them. Maybe somebody here will have a trick that works! I’ve owned many slipcovered pieces over the years, and I feel there is a big difference in quality and actual “washability” among different brands. My most durable slipcovers have been from Quatrine. They are linen (and pricey), but I’ve had them 17 years and and I wash them every 2-3 months, so that’s at least 68 washings they have experienced!! Much like me, they might be starting to show their age a little ;) but the seams are still strong, the fit is still good, and the fabric has held up well. Like me, they might have a few “age spots.” I treat fresh spots with Incredible enzyme cleaner. I’ve also owned slipcovered pieces from Ikea and Pottery Barn, and they have not held up well to frequent laundering. Have you tried soaking them for a few hours in Oxyclean White Revive (buy at Target or Amazon). Just did this and had good success. Also, soaking in bluing would probably work – i do this with my white jeans (Mrs. Stewarts Bluing) and it works well. I clean cushion covers on my Ektorp as needed without cleaning the whole thing until I have to, which is much easier. I have 2 Lee furniture sofas with slip covers. Very easy to take off and clean. I wash them almost seasonally and I can do it by myself! The fabric looks like natural linen. 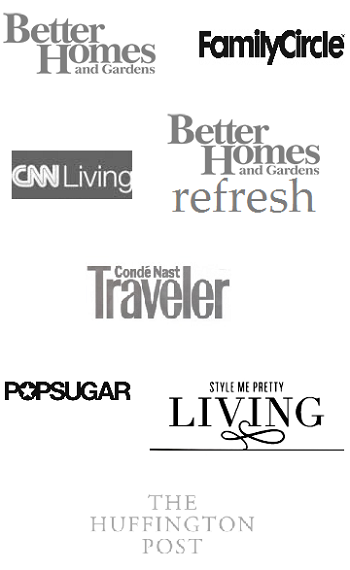 Check them out next time you are sofa shopping! My PB sofa was impossible! I think this might be a case of “you get what you pay for.” Sounds like the nicer brands may be easier to work with….and clean. Who did you buy your Lee sofas from? I have a white Pottery Barn sofa that’s two years old. I also have two very naughty cats that’s have caused me to wash my slipcovers multiple times – I’ve bleached them and they’ve come out pretty good. I also have two chairs with slipcovers, but they are red. The best trick I’ve learned about putting them back on is to do it while they’re wet, but leave your cushions off until everything has dried, otherwise you’ll get mildew (learned that the hard way). I also have an Ektorp chair and sofa, and other sofas with custom white slips. Oh, and I have 4 cats who enjoy the furniture. I wash the slips maybe every 2 months. I do take them to a laundromat because my washer just can’t handle the sofa body. I wash them with tide and a scoop of oxy clean extra white, and might throw in a bit of baking soda and vinegar just for extra freshness. After 4 years of use, there are a few marks that won’t come out, but in general, washing with these detergents leaves them bright white – whiter than white! I put the slipcovers on and off by myself, and don’t find it too difficult. I always put them back on a bit damp so they are a good fit. I have 2 of these sofas also and I bleach, used oxy, and wash on HOT! I think that is the key! One of my sofas is 2 years older than the other And if I wash all covers in one day…I can’t tell the difference. We eat on them and wine has been spilled all over one…but for that stain I used wine out..then washed and they were good as new! I agree…they are a pain to put back on. I dry for 10 min and then put on slightly wet and it’s MUCH easier!! Same, same, same… Except I have a white PB and the slipcovers aren’t so cheap. More like $500+. I have the same IKEA sofa and slip covers. I would not buy the slip covers again. The washing is a two day job (we have the sectional) and I literally have sprained a finger trying to get them back on. And don’t even think about washing the big, whole couch slipcover. Mine tore trying to get it back on. I have two boys and a cat who thinks this sofa is a scratching post so I’m living with it for now. Next time, I would go for sunbrella white fabric for sure! I have to agree with Emily that it may be you get what you pay for as there is so much variation in durability of fabric. I purchased a tan sofa about 13 years ago. It was a high quality sofa and it looked good for about 5 years. I finally got to the point I couldn’t stand the dingy look, so I had white slipcovers made. I picked a fabric recommended to me as a washable cotton used on porches and sometimes boats(?) All I know is after 8 years, I can still wash these slipcovers in my washer with bleach and warm water and they come out brillantly white. They have softened over the years and now feel so wonderful to the touch. I paid about $1100 dollars for the slipcovers custom made but they still look great and I don’t have any intention of giving them up anytime soon! I wash them about 4 times a year and, yes, they are not easy to get on but they never look pulled across the front or back and I can close the zipper without too much problem. I did have the fabric pre-washed before the slipcovers were made. I have two Four Seasons sofas that are slipcovered in a white sunbrella fabric. They are five years old and still look great. Red wine, mud, blue dye from jeans, dog hair, chocolate etc….it all comes right out. I have 3 slipcovered sofas—and two Baker wing chairs, all custom slipcovered in white denim twill, which I buy online from BestFabricStore.com—for less than $9 a yard. We have 2 dogs and eat on our furniture a lot! I wash the slips every 6 weeks or so, with Tide and powdered Oxyclean. I spotclean with spray Oxy, and for stubborn stains I wash the fabric and apply a paste of oxy and water. Let it AIR dry, then wash again. It’s a struggle getting the slips on, but my hubs helps. I agree with you 100 percent! I had two white slipcovered armchairs, but it was a hassle to remove, wash, and replace the slipcovers. It might have been worth the struggle if they came out completely clean, but they didn’t. They always looked a bit dingy to me. I sold them to a home staging company. I have the Ektorp arm chair. Grey and dark beige slip cover. Both covers wash well – you definitely have to wrestle the cover back on. The chair itself is 17 years old and still like new. The same cannot be said for my super pricey LR couch. Going to Ikea for the Ektorp couch soon. We have the same couch, I use spray bleach and go to TOWN on them. If you put the sofa cover on while wet it slips right on. It is a total pain, but looks so pretty and I’ve been able to get blood and wine out of them! I bought the slip covered sectional in June and getting ready to order my third slip cover this weekend , this time in ivory since its $99 and will be slightly darker for the Fall/Winter. I had to take the first cover off because my dear cousin must have bathed in make up because she got.it.everywhere. I do tuck a sheet on the seat(s) part for daily use to keep it from discoloring too badly from the snacking, sleeping , dark jean wearing we do over here. I really like the sofa, I even used scotchguard on each slip but it will get dingy no matter what. I just prefer to wash the sheets I put on them vice taking the covers off so much. It has been worth the money but I agree, dingy isn’t cute. Great post. I have the Ektorp in white, sofa, chair, and loveseat, and I’ve had slipcovers in other colors as well. I agree that it is a bear to put it all back together, and as I read that you shouldn’t machine-dry the covers due to shrinkage (and I’ve had that happen when I forgot and ended up with them being too small to use), I find the biggest problem to be finding somewhere to let them air-dry! They are so large (and I don’t have an outdoor line to hang them on). But I’d have to say that even with washing the white ones only MAYBE twice a year, I do get them to look decent again. Not perfect, but they seldom stay looking perfect for long anyway! I use a good detergent (Tide or a powerful natural brand I like) plus Oxy, and I always run them on hot, long cycles, plus I do them twice before I think about taking them out of the machine. I haven’t used bleach, as I try to avoid that, but I think it should help also. And I’ve never had them fall apart, so I think they are a reasonable choice. As someone who makes Slipcovers professionally, I can’t recommend them more. I have also purchased a slip covered armchair from Ikea for a basement my kids used when they were younger. I will never do it again. The slipcovers are cheaply made, hold stains and shrink. 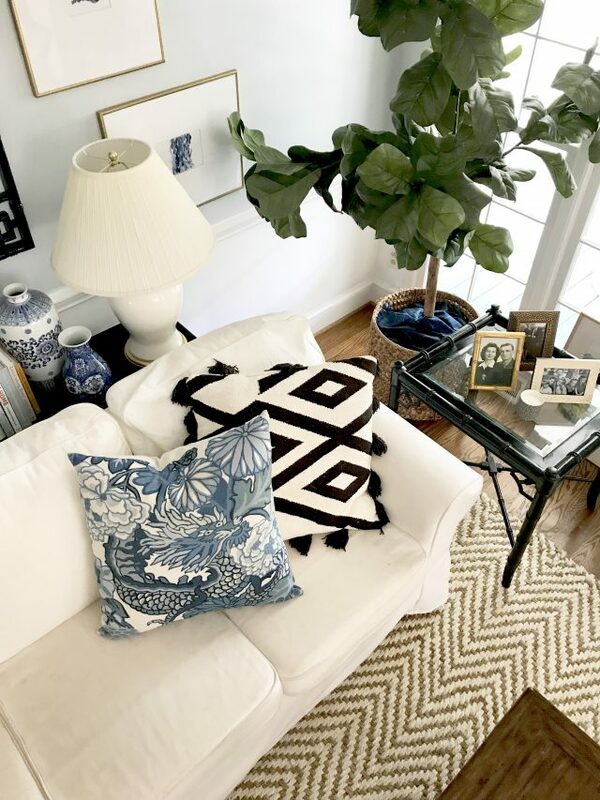 I recommend specific fabrics to my clients that are typically washed and dried before being pinned on the piece of furniture and then washed and dried before delivery. With this, there is no shrinkage and makes for easy off and on for laundering. I also point people to Crypton fabrics as they have several suitable choices that will in fact work for slipcovers. 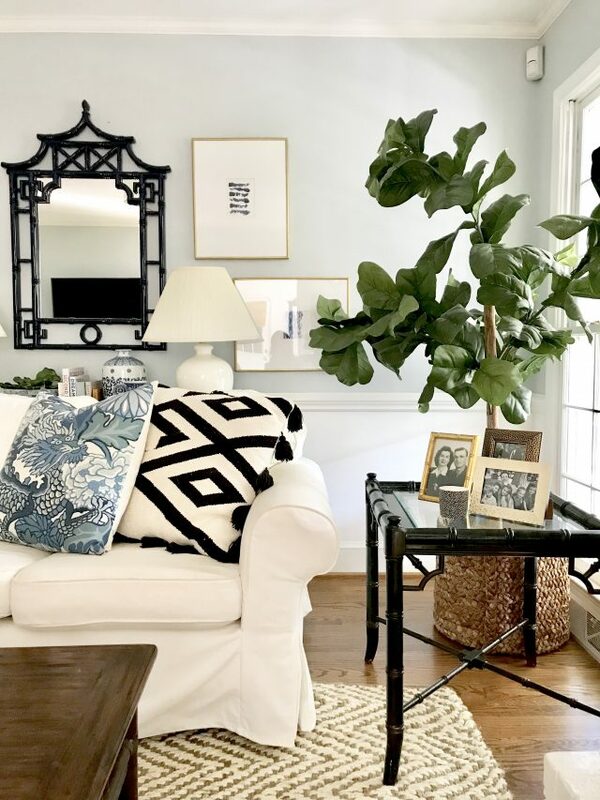 Custom slipcovers are definitely more of an investment but if you have a quality piece of furniture you don’t want to part with, it is certainly worth the expense. We have the Ektorp in the blue denim and I hate this couch! My husband talked me into a more budget family couch that could take a beating. The denim looks so worn and most of the zippers have come off after washing on cold and hanging out to dry so it wasn’t from the heat of the dryer. Now I can’t wash those covers again so I’m praying no one pukes on those particular covers. Ikeas great for most things but this couch in my opinion is not one so white would def be out for me!!! Well, I’m the oddball here. I have a black cat, live in the country, and my husband is a mechanic so white anything is just not feasible. I recovered our old couch in dark brown, and I love it. 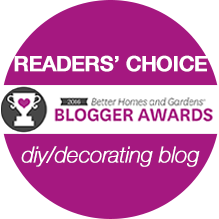 Any color works beautifully with it and I can change my pillows constantly for a new look. Oooo anybody with white anything should definitely use Clorox Bleach Pen so that whenever there’s a mark or stain, you could apply it real fast and it works miracles. I’ve used it on old stains before and it came right off. I have to disagree with all of the above. I’ve had ektorps for 12 years. The trick is to treat them like delicates. I can’t even imagine what hot water & oxyclean does to them. You have to 1) pre-treat any stains with a spray just before washing; 2) wash on COLD; 3) use ONLY detergents WITHOUT whitening agents or optical brighteners, like Seventh Generation; 4) dry on AIR DRY/NO HEAT; 5) replace the body cover when it is still just slightly damp. The cushion covers can be totally dried on AIR DRY/NO HEAT. Last, FWIW I don’t allow my kids to eat on them so that helps a ton. Doggies only come on the couch if a blanket has been put down for them. I think they’re 100% worth it as long as you know how to care for them! I bought a Pottery Barn white slipcover sofa in 2005. It has had whole cups of coffee spilled, chocolate, wine, muddy dog feet, and blue jeans running off on it. Every stain has come out with oxyclean. Some with a spot clean, others with a good wash. Easy to put back on. I think it’s just a quality issue between IKEA and PB. I absolutely love mine! I sew slipcovers as a business. White denim is a great look and though the original crispness won’t last forever, just imagine that chocolate ice cream, pizza, blood(!) on a non-washable upholstered piece. I eventually switched my white ones for an oatmeal linen/cotton blend that is much more forgiving. There’s a fabric company called Revolution Performance Fabrics in NC that makes dseveral washable, bleach cleanable, non shrinking fabrics(even white) at less than $15/yard. My grandson wrote with crayon on one of my chairs and it came right out. They sell to the public, which is nice. Here’s a link https://www.revolutionfabricsbytheyard.com/collections/revolution-plus. Tip for shrunken slipcovers and cushion covers: Lots of fabric softener, and put back on damp. I think it all comes down to the type and quality of the fabric itself. I have had some white heavy weight 100% cotton twill Pottery Barn slipcovers for many years. I wash them a few times a year (because of pets) in hot water with bleach and they come out looking like new every time. I’ll never go back to anything else. I’ve had a white slipcovered sofa from PB, white slipcovered Ektorp chairs from Ikea, white slipcovered Farlov chairs from Ikea and a linen flax colored slipcover sofa from RH. Quality is the key! I’ve had the RH sofa for over 10 years and it washes up beautifully! It literally shows no signs of wear! I also think the key is picking a slipcover that is something other than 100% cotton. The linen-blend on the Farlov chairs looks nicer and washes up nicer than the straight cotton of the Ektorp. All that being said- if you love white and have a young or messy family- I don’t really think you can beat white slipcovers, especially at Ikea’s prices. My suggestion would be to splurge a little more to have a second set of slipcovers (what I did with my chairs) so you could wash them more easily and that will help maintain their brightness! I love your honest blog posts! I just received two slipcovers from Comfort Works, who makes custom slip covers and slipcovers for IKEA furniture as well. I have nothing but great things to say about their customer service and products. We are very pleased. Bemz is another company I considered, but does slipcovers for only ikea furniture and I needed some west elm chairs covered. They both have beautiful choices for French seams, piping, skirt pleat options etc. You can check out their options online and see inspiration on their Instagram pages. Maybe they will have a fabric that you like better! I have the ikea farlov in white and love being able to wash the slipcover. I pretreat with spray Oxy while the covers are still on and let it set for an hour or so. Wash on hot/heavy duty setting with bleach, detergent and oxyclean wash booster. The farlov cover is easy for one person to manage so I wash it at least once a month. I’m not sure I like the farlov enough to order a custom slipcover that’s better at hiding dirt. It has beautiful lines but it’s not as comfortable as I’d hoped it would be. Bemz makes high quality slipcovers in different fabrics, including linen, denim and indoor/outdoor, for Ikea furniture. I’ve had a Bemz linen slipcover on my Ikea sofa for years and it looks high-end and washes well. I agree with you. Sounds like it was a great investment! I have two small children- 2 and 4, and two slip cover white sofas. One from Pottery Barn in our living room and the other, the IKEA Ektorp, in our playroom. The PB one washes beautifully and is easy to get on an off. I really don’t think much about washing it. The PB couch has had everything from wine to potty training accidents on it and it looks great! The IKEA couch is a nightmare. Impossible to get back on after washing, stains don’t come out, etc. I’d rather get a root canal that wash the slip covers on the IKEA couch! I own 3 ektorp. 1 chaise and 2 sofas. We used a white cover on the chaise for a year before moving it to the playroom with a new charcoal slipcover and then got the 2 used sofas for free from a friend (I know, right??!). She had beat up the oatmeal colored covers and she thought they weren’t salvagable. I spot treated the worst stains then threw them in the wash with detergent and oxi and they came out like new! I wash them on warm and only dry them for 20 min then put them right on and they go on easily and dry overnight. I’ve been duties at how easy it has been. The worst part is swapping laundry all day since I was there seat covers separately from the frame cover.